You may have noticed a change recently. And no, it didn’t get new glasses. The website got an entire facelift! It begs the questions, why? It’s a result of a change in mindset, mission, and the launch of a special initiative. Over the past couple of months, I’ve been exploring the purpose of ‘work’. That is, content marketing and entrepreneurship. It seems like we’re stuck in this perpetual cycle of: build something, sell it, grow a business, repeat. I believe we should scrap that first draft and start over. We’re all good people right? 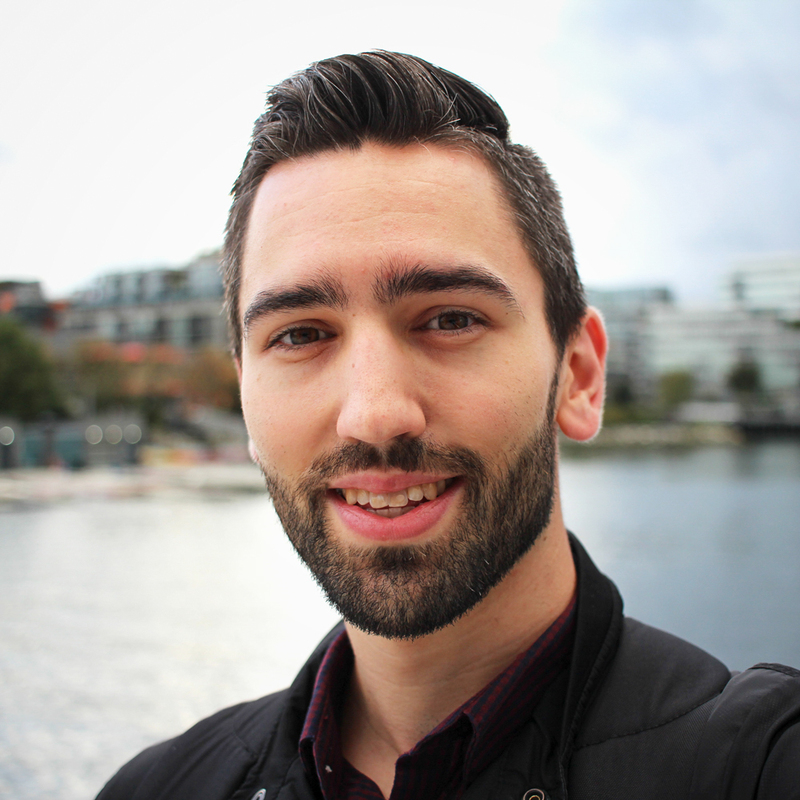 We work for a reputable company (or have one of our own) to help them grow it bigger and solve customer problems. But so much of what we do is superficial. We perpetuate the hamster wheel of businesses trying to make a profit, but there are REAL NEEDS in this world. People without water or food. People with health problems. People that don’t think they’re people. People that can’t live because of other people. And so much more. Methodic Content is focusing on social entrepreneurship – helping create people, businesses and nonprofits that have a mission to solve real world problems by using the strategies of successful for-profit businesses. I’m not talking about dressing up your marketing with a useless ad campaign about donating $2 million to save polar bears over 5 years (I’m looking at you Coca Cola!). Make it a core part of your business and culture, not just a donation item. Just to clarify, Coca Cola sells $43.6 Billion worth of products every year. That’s $1,450,000 every MINUTE. The amount of donation doesn’t seem that good any more does it? And clearly as a statement about the company, caring about the world isn’t top priority. Especially considering they turned it into an ad campaign to make them look good (spending more on advertising than on even donating). Now if that’s where you have impact (as a marketer), it’s a great place to start. But the real problem is that it needs to come from the core. Since we’re talking to content marketers, freelancers, entrepreneurs, and also nonprofits, I began thinking about how we can all get together to make a bigger impact. Obviously nonprofits have a mission for change, but what they lack is an arsenal of talented content professionals at their disposal. 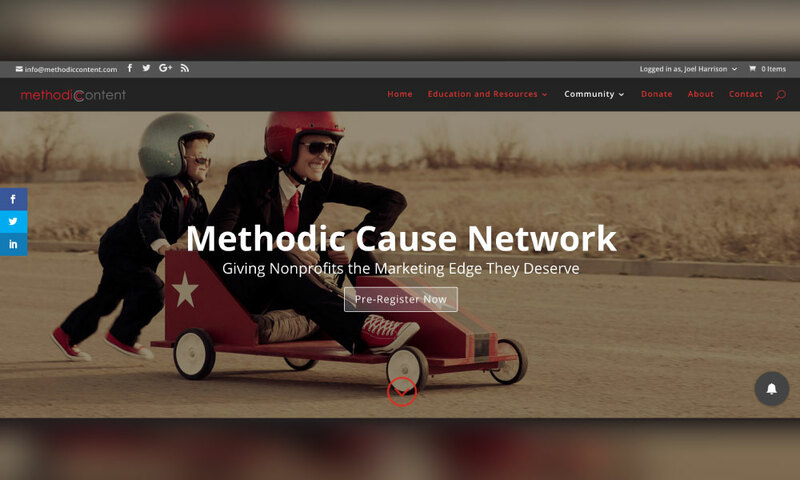 The Methodic Cause Network is a kind of “Freelancer” type service to help nonprofits request help on short marketing and content projects, and be able to connect with professionals that want to volunteer their technical and creative skills to help out a good cause. For a long time, I’ve thought about volunteering my time for a non-profit, but I didn’t know where to start. And being that my passion is for digital marketing, I would rather do that then hand out flyers at a mall. So instead, I built a network that makes this readily available. I know there are more of us out there, that don’t just want to punch a card, and put in some time to make someone else’s wallet bigger. So let’s change our focus and connect with each other to create a bigger impact. Notice: The Methodic Cause Network forums aren’t open yet, but you can pre-register with a free membership and have access to downloadable resources, email newsletters, and be notified when it’s open.